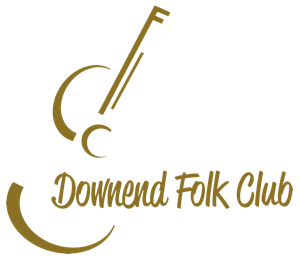 Downend Folk Club - REVIEW: "AN INSTANTLY LIKEABLE PRESENCE STEEPED IN HIS HOME COUNTRY"
REVIEW: "AN INSTANTLY LIKEABLE PRESENCE STEEPED IN HIS HOME COUNTRY"
At the end of his first set, bazouki wielding Irish singer DAOIRI FARRELL tried selling some CDs; "I don't call them CDs, I call them a life time of happiness". After this incredible night at Downend Folk Club, he's not going to be the only one. Nominated for countless folk awards and winner of plenty, Daori (pronounced Derry) Farrell is everything, literally everything, that you would want an Irish folk singer to be. An extraordinary singer with a thousand stories; a glorious musician who makes even the most complicated playing look effortless; an instantly likeable presence steeped in his home country. If there was a single person in this room who didn't want to accompany him straight back to Dublin then those people have no soul. From Biddy Mulligan to Pat Rainey there was a stream of characters that tumbled and strutted from the songs, filling the room and telling their tales. There were times when Farrell played to the stereotype with just a little too much enthusiasm, although maybe if you call your new album True Born Irishman that can't be too much of a surprise. Still, there was the charmingly befuddled persona, the bar-room jokes and, most telling, the belief that "those in power write the history; those that suffer write the songs". These songs are dripping in that most Irish of things; things might be rubbish but we’ll sings and dance like demons anyway. And so he did. Fingers flying across bazouki strings while his strong voice caroused around. Where some songs lacked a chorus they never lacked a heart; long, winding tales wrapped deliciously around fantastic tunes. Many were traditional but the cheeky, unaccompanied tale of a baby-saving rugby player, Fergie McCormick ("I’m 67 percent sure that it’s true") was pure folk-club joy. As much as Farrell conjured a peat-fugged bar off of St Stephen's Green, it was with his most incredible songs you'd swear blind you'd found yourself in a pew. The church-like reverence that greeted both Blue Tar Road and Via Extasia was enough to prove that even without an instrument Farrell could hold every one of us in raptures. Both were written by Liam Weldon, a genius songwriter and subject of Farrell’s BA thesis. One a song of protest the other a love song of the deepest kind. Both were exquisite. Before this Irish charmer we were treated to ROSIE HOOD. On any other night she should have been the headliner. A pure, strong voice and someone in complete control of stage and song. Her short set was made up of both traditional and self-penned songs and every one was an absolute gem. She grew up around Malmesbury and many of her songs were either collected in Wiltshire or based there. A Furlong of Flight, about a flying monk from 1010, was a highlight. After just five songs she was gone although her lovely album, The Beautiful and the Actual, is well worth a listen. So, does folk singing bring a life time of happiness? Who knows, but we certainly had a whole evening’s worth.